Freshly remodeled home. Updated kitchen including all stainless steel appliances and stylish and utilitarian concrete countertops â recently installed. Both bathrooms completely remodeled; master bath features brand new travertine tile finish. This home is also very energy efficient. Refinished hardwood throughout upstairs, quality ceramic tile, and new carpet. Both bedrooms in the basement are conforming with new egress windows added. Plenty of natural light throughout making the home inviting and bright. Brand new lighting fixtures throughout as well. Mature foliage surrounding the property to provide privacy complimented by rich green sod. Lush established trees in the front as well! Only a 7 minute walk to Ruby Hill park and Levitt Pavilion. Located on a secluded block with Athmar Recreational Center just a few doors down. 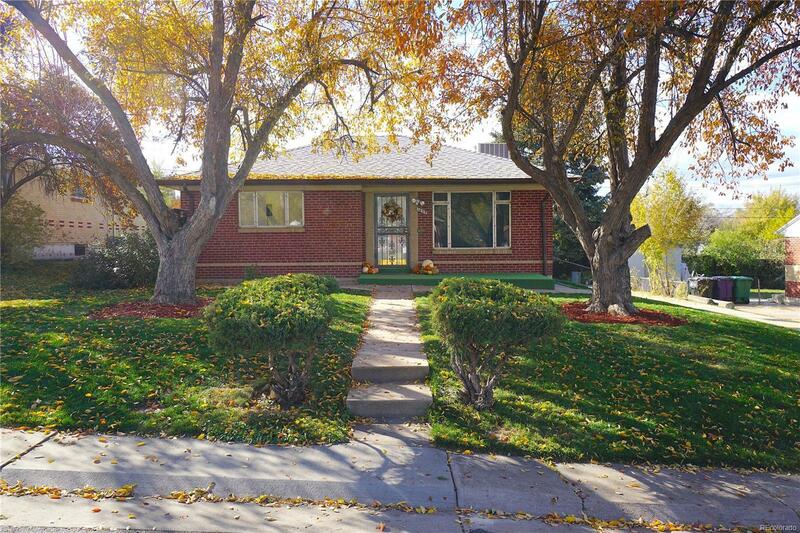 Only 12 minutes to downtown Denver! Very centralized location. As an added bonus, you can quickly access the mountains within 15 minutes! Garage ready-driveway!